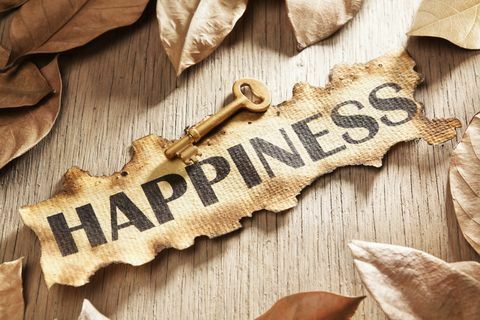 How to become happier every day? With all the books on bliss and the mood-boosting technology that does everything for us but laugh, we expect happiness to show up on our doorstep, like a pizza. But we have to make it happen. Also tricky: keeping the glee going when you have work to do, kids to raise, bills to pay and more work to do. Mercifully, big, costly, splashy events are not the ultimate bliss bringers. As people get older, they tend to find ordinary treats—such as a latte or a manicure—just as joy-inducing as extraordinary ones like an around-the-world cruise, found a 2014 study by researchers at Dartmouth and the University of Pennsylvania. With age, the authors speculate, we’re more aware of how fleeting time is, so we’re particularly likely to relish everyday bright spots. What you won’t find here: a step-by-step happiness guide. How draining would that be? Instead, we tapped top positive psychologists for easy ways to infuse your days with more pleasure. Consider this a pick-and-choose list; even doing just a few will help. Ready for more joy? Plan on it! Although increasing happiness levels shouldn’t feel like work, having a can-do mind-set really comes in handy. In a study published in The Journal of Positive Psychology, people who were told to listen to music and attempt to feel happier had a greater boost in bliss over a two-week period than those instructed only to relax as they listened to the same upbeat tunes. It comes down to motivation: You can transform into more of a glass-half-full type. In a get-stuff-done world, it’s hard to avoid our efficiency instinct. The answer, then, is to focus on enjoyable stuff, along with the must-dos. “Don’t fit joyful activities into your days—fit your days around them,” Biswas-Diener urges. “Do you ever hear devoted church attendees say, ‘Can we reschedule church because something came up?’ You need to have that church mentality about whatever it is that gives you pleasure. If you say that your weeks are full, find the next blank spot in your calendar.” Protect that sacred time from “nibblers” (otherwise known as your family), adds productivity consultant Julie Morgenstern, author of Time Management from the Inside Out: “Announce to everyone that it’s your time to recharge your batteries.” Tap a friend to make sure you use that time strictly for fun. On those days when you barely have time to breathe, recall something that made you happy and you can get a boost. In one study from Michigan State University, bus drivers who smiled as a result of thinking about a positive event, such as a child’s recital, were in more upbeat moods than workers who fake-smiled. Science suggests that a full, genuine grin—one that involves facial muscles around the eyes—sparks a change in brain activity related to a good mood. So, yep: Say cheese. As any woman who has ever bought a trendy, overpriced accessory knows, the kick we get out of purchases wears off fast. However, spending on experiences (like tickets to a Broadway show) rather than things (another black sweater) creates lasting contentment—with one new caveat. A study co-authored by Ryan T. Howell, PhD, associate professor at San Francisco State University and director of its Personality and Well-Being Lab, found that people fail to get pleasure from objects or experiences if they’re acquiring them mainly for bragging rights. That is, if you’re more of a local-Thai-restaurant person and you plan a 40th-birthday blowout at Le Fancy Schmancy Bistro, you may get admiration on Facebook but miss out on feeling personal delight. For total happiness, you need a mix of activities that give you joy and a sense of meaning, what Dolan calls the pleasure-purpose principle. “If happiness were only about pleasure, what would be the point of having kids or helping others?” he says. “To be truly happy, we need feelings of purpose, too.” Think volunteer work or taking a cooking class. The positive feelings that come from these sorts of activities can help train the brain’s neurons to overcome its negativity bias. As neuropsychologist Rick Hanson, PhD, explains in his book Hardwiring Happiness, the brain is all too good at remembering adverse experiences, which he traces to ancestors who had to focus on threats like predators in order to survive. But when you rack up feel-good experiences that give you a sense of achievement, they can serve as a buffer against the disappointing ones. Truly sunny people have one thing in common, and it’s got nothing to do with their paychecks, IQs or gender, Biswas-Diener says: They have plenty of good social relationships. These include interactions that psychologists refer to as social snacking—little ways of connecting with other human beings, including strangers. In one 2014 study by Nicholas Epley, PhD, professor of behavioral science at the University of Chicago Booth School of Business and author of Mindwise: How We Understand What Others Think, Believe, Feel and Want, participants heading to work by train either refrained from engaging with fellow passengers or made conversation. Chatty commuters—both introverts and extroverts alike—reported having the most pleasant commute. In another recent study co-authored by Elizabeth Dunn, PhD, at the University of British Columbia, people kept a running tab of social interactions with folks with whom they had either a strong or weak tie. Regardless of the type of person they connected with, they consistently felt more chipper on days when they mingled. Weekend getaways continue to trend; cruise lines are even creating shorter jaunts for time-crunched travelers. And yet for deeper joy, you can’t beat a long trip. “One of the biggest deterrents to happiness is that we adapt to our situations—you buy your house and it has a beautiful view, but at some point you stop deriving pleasure from it,” Howell says. When you take only a quick journey, the elation spike is brief. How high you go! How quickly you return to reality! An extended vacation—even to somewhere familiar like a beach town three hours away from home—may create more impactful, lasting memories. And having a bank of them to tap into can add to happiness, research shows. So try to budget for a two-week trip. Even just planning gives you a boost: One study from the Netherlands indicated that the bliss of a trip can start months before it begins, owing to the anticipation. One enjoyable thing you should do every weekend: Make plans for the next one. “The anticipation powers you through the workweek,” Morgenstern says. The tactic also helps you avoid making passive, meh plans, like accepting the Saturday dinner invite from that couple you don’t totally like just because you have nothing better on tap. Morgenstern has a formula for a blissful weekend: PEP (physical, escape, people). In other words, a mix of physical activities that energize you, escapist activities that relax you and people who inspire you. “It’s a good framework for putting together weekends that leave you happy,” she says. Not to mention entire happier weeks. Union Health Minister Dr Harsh Vardhan has said that he would request the Ministry of Human Resource Development to include in school text books passages and essays that generate in young children a positive attitude towards organ donation in general and eye (cornea) donation in particular. The minister, who was speaking at the centenary celebrations of Shroff’s Charity Eye Hospital in Delhi on Saturday, stated that the ongoing National Eye Donation Fortnight (August 25 – September 8), an annual event organised by the National Programme for Control of Blindness, is meeting with good response in a large number of states, including Delhi. It is now felt that youngsters should be exposed to the enormity of the problem of blindness in India and their responsibility to contribute to its end. “We teach the young the life stories of great savants and leaders with the hope that the new generation will imbibe their qualities. It is also necessary to instil in them their responsibility towards the blind population of India which could benefit if cornea donation becomes part of the nation’s culture,” Dr Harsh Vardhan said. He said that eyesight is one of the biggest gifts of God. Unfortunately, the corneal blind population of India is the largest in the world. At a rough estimate, the country needs 1 lakh corneas every year but only about 17,000 are procured. Of these only about 50 per cent are utilised. According to WHO, there are 45 million blind persons in the world, of whom 12 million are in India. Corneal blindness accounts for 1 per cent of the total blind population of the country. WHO also estimates that the blind population may double by 2020 owing to the rise in population and longevity. Dr Harsh Vardhan said the history of ophthalmology in the country is inextricably linked to the vision of Dr S P Shroff, who founded the institution in 1914. “Dr S P Shroff was a founding father of the Delhi Medical Association, the precursor of the Indian Medical Association. Both Shroff’s hospital and DMA were established in the same year and have proved to be lasting institutions that have contributed much to India’s development,” he remarked. The tradition of pledging one’s eyes after death is quite old in Delhi thanks to the pioneering work by Shroff’s Hospital, the minister said. At the function, a number of facilitators and donors’ families from Delhi, Karnal and other places of northern India were honoured, including the parents of a 14-year-old girl and the son of a 65-year-old man. In both cases, the family members showed exemplary presence of mind while making the emotionally heavy choice of donating the just-deceased’s eyes. In this context, Dr Harsh Vardhan recalled the case of Surabhi, the 16-year-old girl from Krishna Nagar, Delhi, who was declared brain dead in 2013 after being admitted to AIIMS. Her parents took the tough decision to donate her organs for the benefit of people who needed her cornea, heart, liver and other body tissues. Dr Harsh Vardhan said that within a month, the web portal of the National Organ and Tissue Transplant Organisation (NOTTO) will become functional. With that it would be possible to establish a transparent interface between donors and recipients of all organs including cornea. The government intends implementing a nationwide programme for setting up regional centres modelled on NOTTO at Chandigarh, Guwahati, Kolkata, Chennai and Mumbai. All the upcoming AIIMS at six cities will also have similar infrastructure. Dr Noshir M Shroff, medical director of Shroff Eye Centre; Dr Madan Mohan, a reputed ophthalmologist; Dr Sara Varughese, a senior ophthalmologist who heads the “Vision 2020” organization; Dr Umang Mathur, medical director of Shroff’s Charity Eye Hospital; and A K Arora, administrator of Shroff’s Eye Charity Hospital, were present on the occasion. Men who smoke before becoming a parent may put their children at increased risk for asthma, a new study suggests. Researchers analyzed the smoking habits of more than 13,000 men and women, and then looked at the incidence of asthma in their children. The results showed that asthma was much more common in children whose fathers were smokers before conception. A child’s risk of asthma increased if the father smoked before age 15, and the risk grew the longer the father smoked. While the finding showed an association between a man’s smoking history and asthma risk in his children, it did not prove cause-and-effect. There was no association between a mother being a smoker prior to conception and a child’s risk of asthma, according to the study that was to be presented Monday at the European Respiratory Society meeting in Munich, Germany. 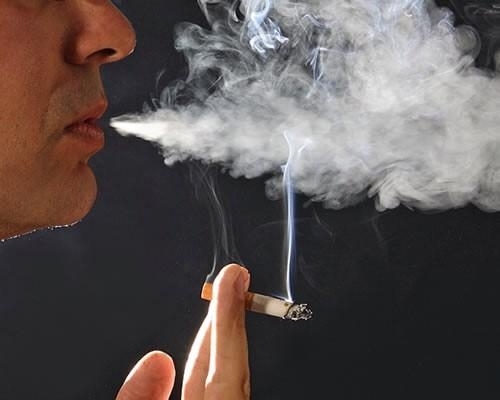 “This study is important as it is the first study looking at how a father’s smoking habit pre-conception can affect the respiratory health of his children,” Dr. Cecile Svanes, of the University of Bergen in Norway, said in a European Lung Foundation news release. “Given these results, we can presume that exposure to any type of air pollution, from occupational exposures to chemical exposures, could also have an effect. It is important for policymakers to focus on interventions targeting young men and warning them of the dangers of smoking and other exposures to their unborn children in the future,” Svanes added. Animal studies have suggested that a father’s exposures before becoming a parent can harm his offspring, the researchers noted. 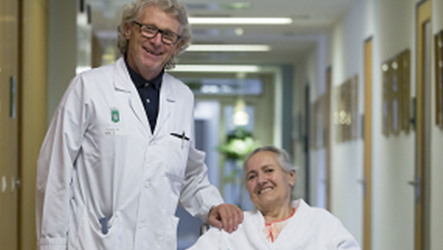 A 75-year-old Austrian woman is recovering in hospital after having an eight kilogram (18 pounds) tumour removed from her stomach – the largest and heaviest tumour the medical team in Graz has ever seen. The tumour – which was as heavy as a seven-month-old baby – had been growing inside Maria Krammer’s stomach for several years, without her realising. It was only when she started experiencing problems with her digestive system and severe pain that she went to the doctor, who recommended a CT scan. She was diagnosed with the massive tumour last week, and operated on three days later. 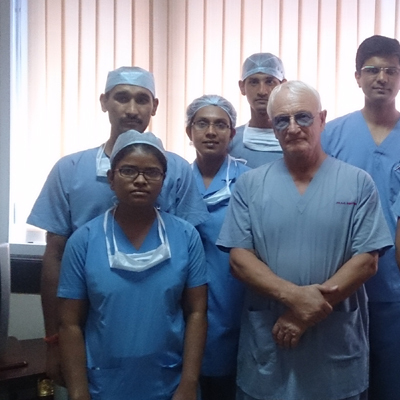 Gerhard Wolf from the Graz hospital surgery team said that it was an exceptional case. “We’ve removed tumours half this size, but to have concealed something the size of a medicine ball inside your stomach is very unusual,” he said. A complicating factor was that Krammer’s abdominal organs had been squashed and moved by the tumour. “This was a really big operation, and we had a great sense of responsibility,” Wolf said. Surgeons at Graz hospital treat around 2,500 patients every year, half of whom are cancer patients who need surgery to remove tumours. It took two hours to remove Krammer’s tumour. It is now being analysed at the Institute of Pathology, to find out why it grew so large. Doctors believe it is benign. Krammer is already able to walk around and hopes to be able to leave hospital next week. Fourteen-month-old Zubair, who had a rare heart disease since he was in the womb, received the perfect gift on Eid as doctors at a city hospital operated successfully on him. Zubair’s father, Mohammad Rushid, who lives in a mosque in Saharanpur on a daily rent of Rs 100, came here a month ago for the boy’s treatment. After knocking on several doors, the family got succour at BLK Super Speciality Hospital. “Zubair had a condition called patent ductus arteriosus, which every one has in the womb. It’s a bypass for lungs, which are not functional in the utero. The track is supposed to close days after birth. In Zubair’s case, it had not closed, allowing oxygen-rich blood from the aorta to mix with oxygen-poor blood from the pulmonary artery,” said Dr Vikas Kohli, director and HOD,B LK Children’s Heart Institute. “We conducted a procedure similar to angioplasty, where a wire was passed into the heart from the groin area and the PDA was crossed. Over this, a catheter (a plastic tube like the ball pen refill but much longer) was passed over the wire to close the opening,” the doctor said. He added that the procedure was carried out with general anesthesia so that the patient can get up immediately after the procedure and take a feed early after the procedure. PDA, doctors say, occurs in about 8 out of every 1,000 premature babies, compared with 2 out of every 1,000 full-term babies. Newborns were more likely to die while sharing a bed compared with older infants, say doctors who want parents to know about the risks. Sudden infant death syndrome (SIDS) and other sleep-related causes of infant death have known risk factors but researchers wanted to know if the factors differed by age group. In a total of 8,207 deaths analyzed, the majority of the infants, 69 per cent, were bed-sharing at the time of death, researchers said in Monday’s issue of the journal Pediatrics. In bed-sharing, the infant shares the same sleeping surface with another person. “The predominant risk factor for younger infants (up to three months of age) is bed-sharing, whereas rolling to prone, with objects in the sleep area, is the predominant risk factor for older infants (four months to 364 days),” Dr. Jeffrey Colvin of Children’s Mercy Hospitals and Clinic in Kansas City, Mo., and his co-authors concluded. “Parents should be warned about the dangers of bed-sharing, particularly in 0- to three-month-old infants.” They also suggested that parents should be reminded that cribs should be clear of objects so that if an infant rolls, there is no risk of rolling into something that increases the risk suffocation. The Canadian Paediatric Society reaffirmed its recommendations for safe sleep environments for infants and children in February. The group noted that evidence suggests bed-sharing with an adult who is extremely fatigued or impaired by alcohol or drugs (legal or illegal) that impair arousal can be hazardous to an infant. 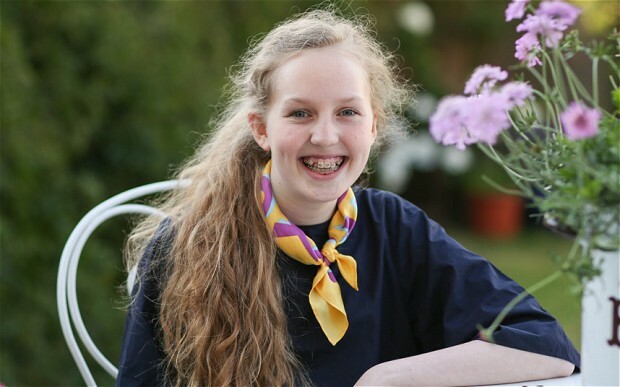 For four years, Hope Horncastle, now 16, suffered a mystery condition that confounded her doctors. Her legs would buckle beneath her, her torso would go rigid and she would fall to the ground. These distressing episodes, called “drop attacks” by doctors, resembled epileptic seizures – except that, unlike epilepsy, in Hope’s case there was no evidence of electrical disturbance in the brain. Despite extensive neurological and other tests, no explanation could be found. Hope is not alone. More than 5 per cent of children and adolescents referred to Great Ormond Street Hospital’s neurological centre suffer what are officially termed medically unexplained neurological symptoms (MUNS), although the incidence is thought to be far higher in the general population. Most of these patients are girls, with an average age of 13. According to Dr Prab Prabhakar, consultant paediatric neurologist at Great Ormond Street, they tend to experience three different types of symptoms: drop attacks such as Hope’s; loss of movement, vision or hearing; or debilitating but inexplicable pain that sometimes stops them from getting out of bed. In the past, such episodes might have been labelled as “hysteria” by doctors. Today, they are sometimes referred to as “psychogenic paralysis” or “conversion disorders” (in which a psychological crisis is converted into physical symptoms). Dr Prabhakar argues that “emotive terms” are unhelpful, and that this complex condition should not be dismissed as being “all in the mind”. A study of MUNS patients published in 2012 showed that psychological factors are indeed linked with neurological symptoms in ways that are still not completely understood. “The symptoms are real in these cases, even though we can’t explain them, and in most cases like Hope’s, persist for at least two years,” he says. “Once we have ruled out any organic cause, we need to look at their impact on the children’s lives.” The symptoms of MUNS, he says, can lead to social isolation and depression. Despite her difficulties, she always has a smile on her face, says her mother Gráinne. ‘At first I just couldn’t understand it, I didn’t even know it was possible. How did my little girl not have a nose? Was she going to live? Would anyone be able to help her? But ever since we got her home she’s grown every day, smiled more and the more she shines the more her differences fade into the background.’ Just weeks after giving birth, while researching the condition on the internet, the mother came across a journal online which stated that babies born like Tessa had poor mental and physical development. She claims it implied that parents should be given the option to terminate their pregnancy. Buut Evans, a full time carer from Maghera, County Derry, Northern Ireland says her daughter proves that statement wrong. Tessa’s condition was detected during the 20-week scan which showed an abnormally flat facial profile. Her mother and father – Nathan, 32, a nightclub manager – were told to prepare to make difficult decisions. But the follow up 3D scan and tests revealed Tessa was perfectly healthy and everything was normal. There are just 47 recorded cases in the English records of people with partial or full facial anomalies. A chainsaw to the neck is no routine injury – but fortunately for one Pittsburgh man, hospital trauma surgeons are prepared for the worst. In April, 21-year-old James Valentine was working as a tree-trimmer when he was struck in the neck by a chainsaw. In a new episode of “Untold Stories of the ER,” his doctors revisited the case. Toevs and her team had only 10 minutes’ notice before Valentine was brought in. Her biggest concern was that he would bleed to death or that he had injured his carotid artery, which supplies the brain with blood. An injury to his esophagus would have also presented a major issue, as breathing comes first in terms of sustaining life. Fortunately, when Valentine arrived, he was able to speak and wiggle his toes, which indicated his airway wasn’t compromised and his spinal cord wasn’t damaged. He was in some degree of shock and was appropriately scared, but he wasn’t panicking, which could have worsened the situation. 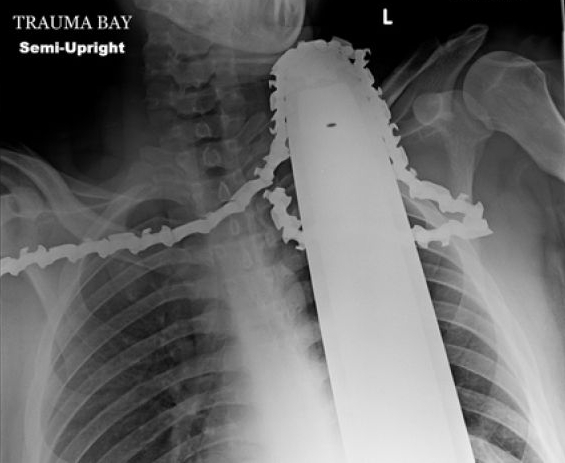 “It’d be a big issue if he panicked; we couldn’t stabilize the chainsaw, which could come out and he could bleed to death… or we could lose the airway,” Toevs said. 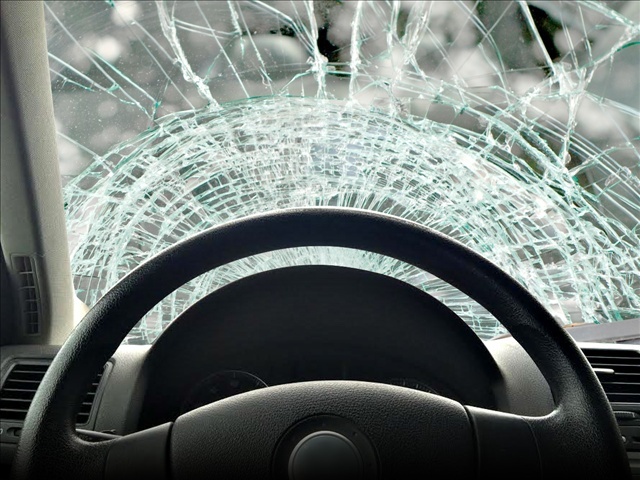 When the accident occurred, the chainsaw still had the motor attached, but emergency personnel were able to take it off before they reached the hospital. However, the chainsaw blade needed to remain still, so in the trauma bay, Toevs designated one person’s sole responsibility to hold the blade. The team took a chest X-ray and found no other injuries to the chest or lungs and no blood in the chest. Valentine was taken to the operating room (OR) after a brief examination in the trauma bay. Because there was no damage to his trachea, doctors were able to intubate him and put him on a ventilator for the surgery. Though he was losing blood, it wasn’t an alarming amount, Toevs said. The team put Valentine to sleep, then took out the blade. Exploring the wound, they found that the blade went in about three inches in his shoulder and one inch into his neck, injuring his trapezius muscle, sternocleidomastoid muscle and other smaller muscles. But, most importantly, they found that the blade had not damaged his carotid artery. With the situation stabilized, the surgery then became routine. It took about five minutes to explore the wound to ensure nothing else was injured, then the surgeons cleaned up the blood, dirt and tree particles and closed the wound. Valentine was admitted to the hospital overnight and began working with a physical therapist the next day. After Valentine was released from the hospital, Toevs ordered physical therapy for him to help him get his arm back to normal usage, as well as help him to move his arm above his head again. Since Valentine is a young, healthy adult, Toevs doesn’t expect him to deal with any residual issues from the accident, and he should fully recover. Overall, the surprisingly benign nature of the injury and the coordinated efforts of everyone involved made the procedure go smoothly, Toevs said. As for Valentine, his calmness during the perilous situation was helpful for the team— and for his recovery. Drowsy drivers who don’t fall all the way asleep can still cause accidents, by missing exits or drifting out of their lanes, Wheaton’s team wrote. Drinking’s still the biggest single cause of road deaths, however.